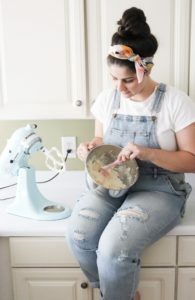 Don’t you just love a classic cookie recipe? Baking doesn’t always have to be fancy or time consuming. 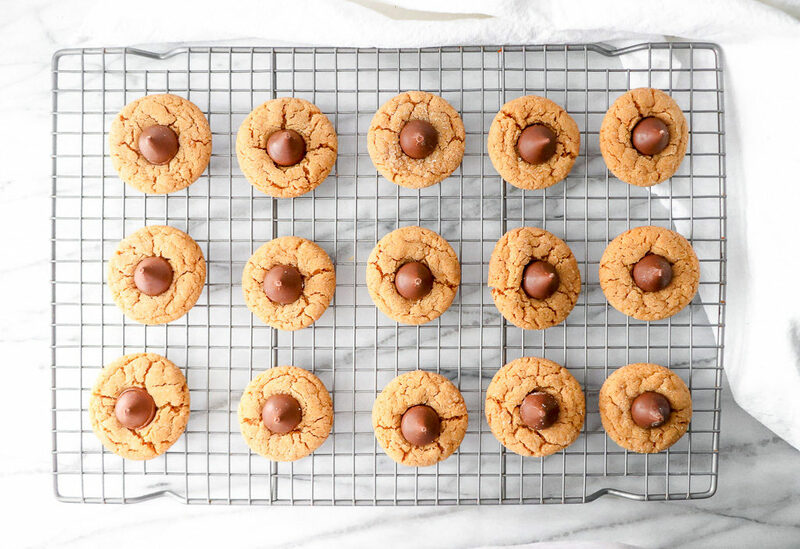 It’s always nice to go back to the basics and bake a classic recipe, just like these Peanut Butter Blossoms. 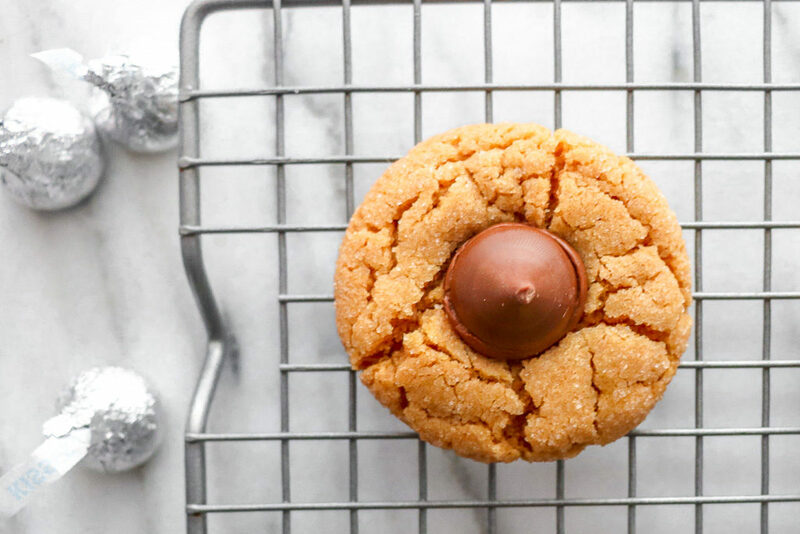 This cookie combines two dynamic flavors to make one mouthwatering combination: Peanut Butter and Chocolate. Insert all the heart eye emojis! I cannot believe I didn’t make these during Christmas this year. Mom and I always, always, always baked them or my Grandma would literally mail them to us from Ohio. But somehow, I left them off the list, so I knew when I saw the Valentine’s Candy Kisses, I had to make them. 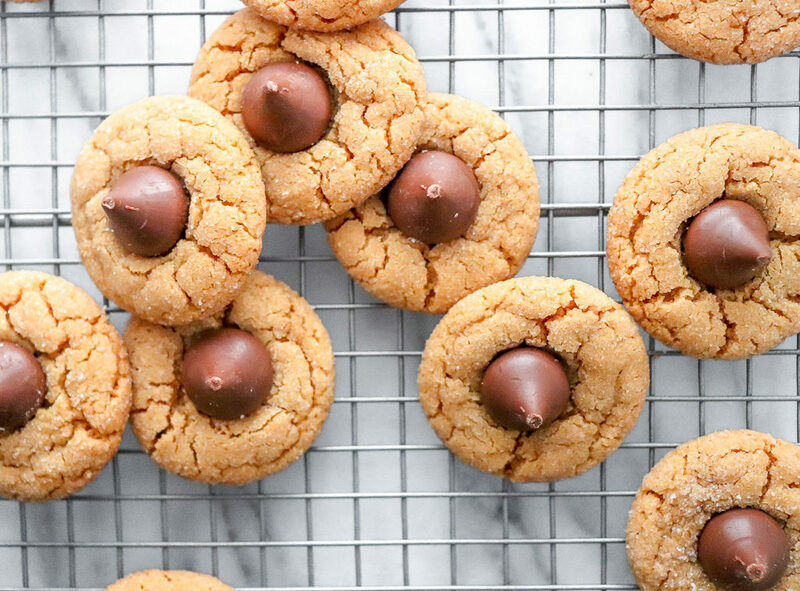 Peanut Butter Blossoms are a Christmas Cookie must, but they are so fitting for Valentine’s Day Baking as well! 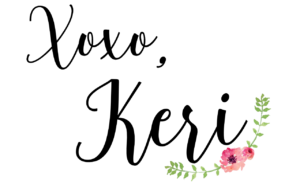 So here we are, a couple weeks out from the day of love and something tells me that your Valentine wouldn’t hate receiving these come February 14th. 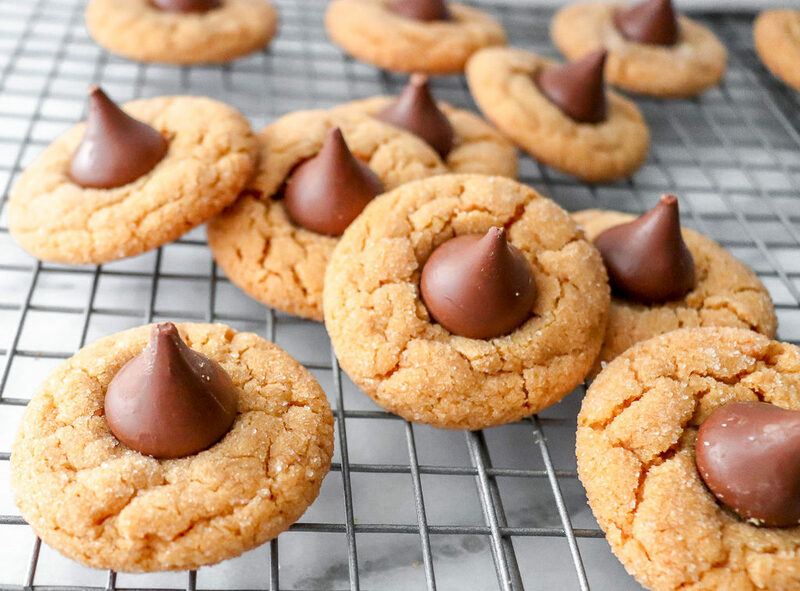 Just saying..
Peanut Butter Blossoms are so easy to make from scratch, that you can make them year round and you will likely have these ingredients in your kitchen already. Are you ready to dive into this delicious recipe? In a medium mixing bowl, combine sugar, brown sugar and melted butter until smooth. Add peanut butter, egg and vanilla. Then stir until well combined. Mix in flour and baking soda until well combined. With hands, roll dough into 1 inch balls. Coat the dough balls in sugar. 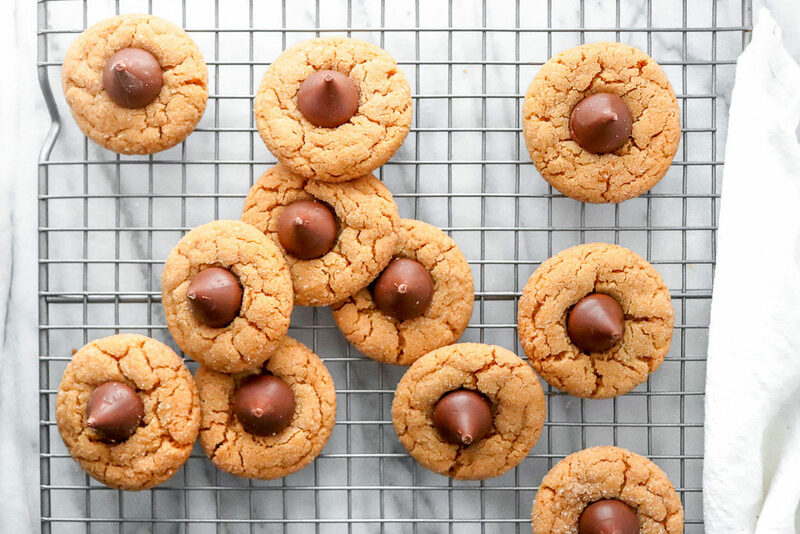 Bake for 8-10 minutes on an ungreased cookie sheet. If not already unwrapped, unwrap the Hersey Kisses. Remove the cookies from the oven and let sit for 1 minute. 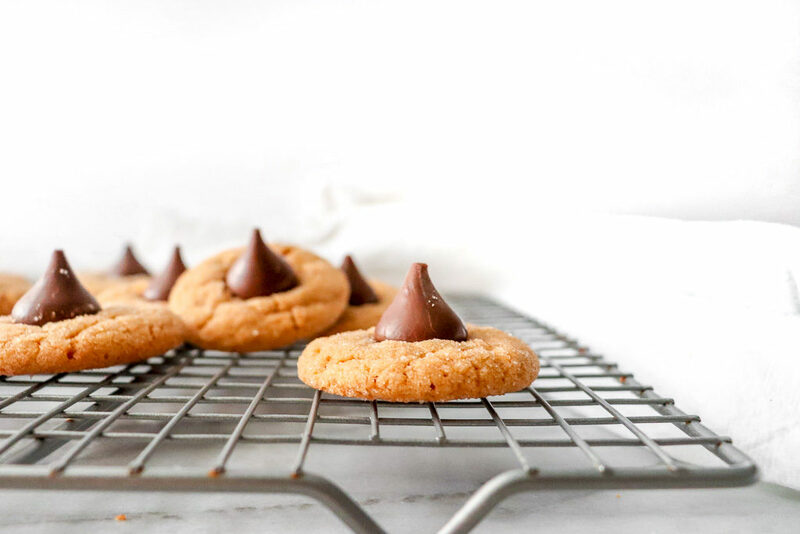 Then immediately place the Hersey Kiss in the center of the cookie and press down gently.